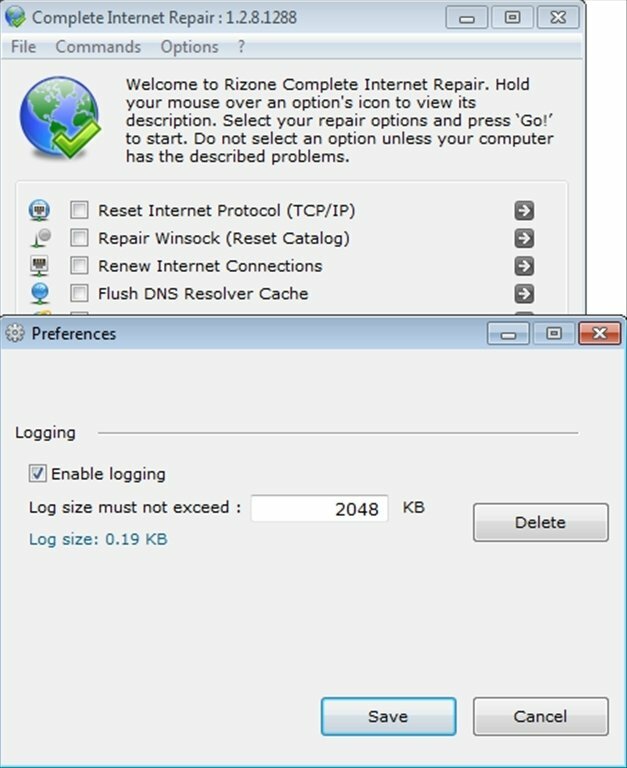 Complete Internet Repair is a portable free program which carries out a series of configurations to solve possible problems with an Internet connection. If you notice that your connection doesn't work as well as it should, it takes too long to load or directly doesn't connect, you can use Complete Internet Repair to try to solve the problem. Reset the Internet TCP/IP protocol. 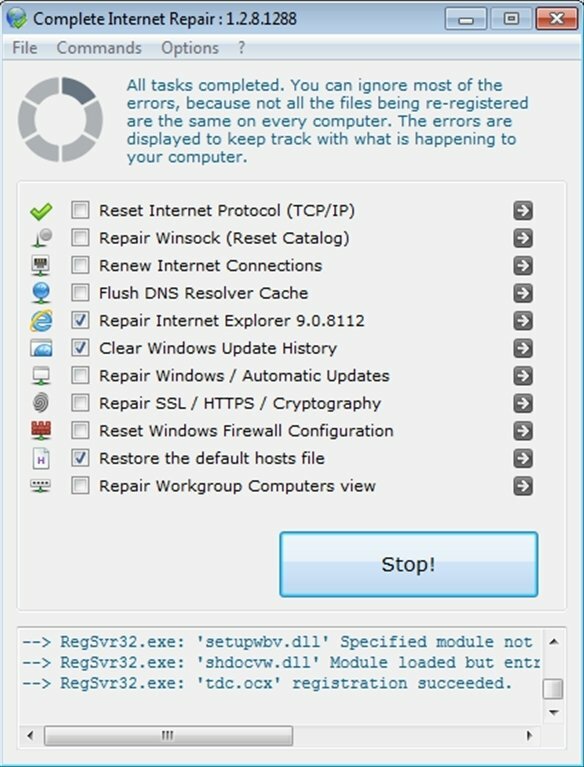 Repair Winsock (reset the catalog). 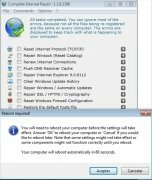 Repair the browse if it has stopped working. 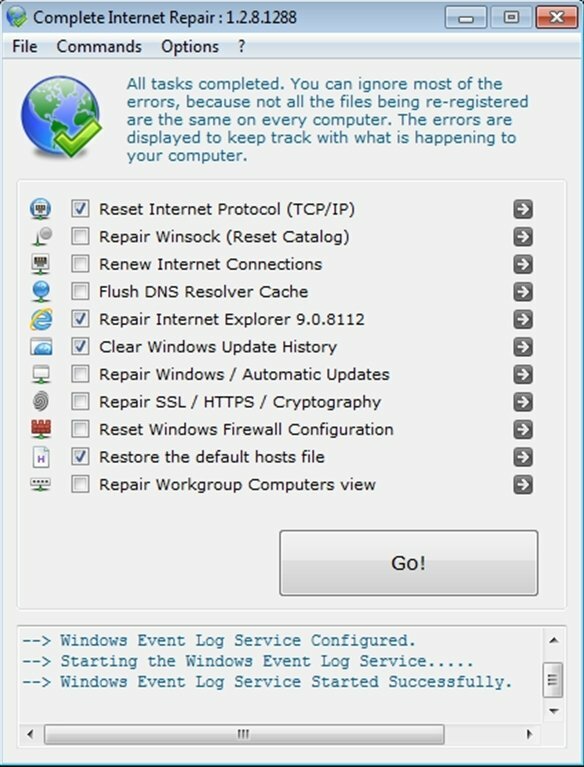 Clear the Windows update history. Repair the computers that are part of a workgroup. You will simply have to choose which actions you want the program to carry out. A good idea is to select those that you believe could solve the problem, and check if they have worked. 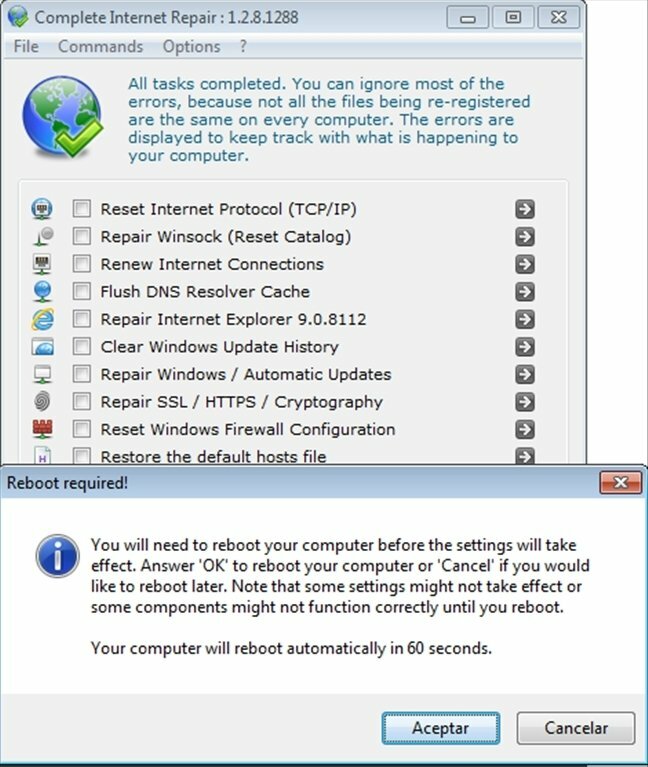 When Complete Internet Repair end it configuration modifications it will ask the user to reboot the computer. With Complete Internet Repair you will be able to repair your Internet connection without being an Internet expert.